One municipality in Loon is already doing it. 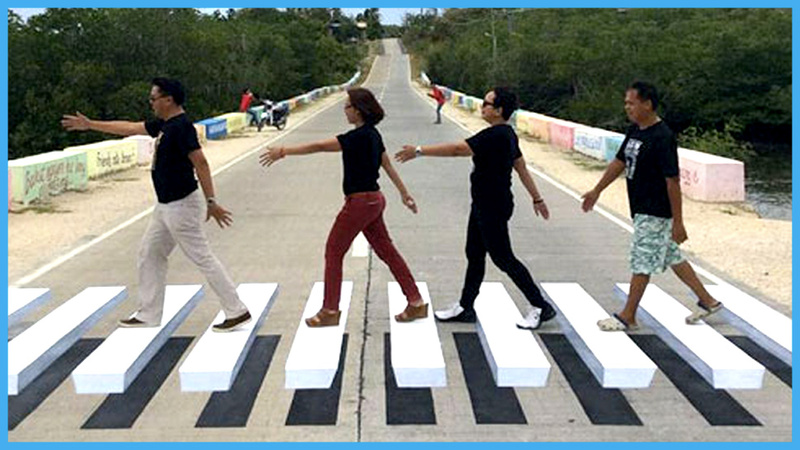 What you're looking at is a 3D-painted pedestrian lane in Bohol. The image was recently shared on the Facebook page of the Municipality of Loon, and it has us thinking: Could this unique crosswalk design make crossing the street safer? It's nice to look at and is creative, but the crosswalk pops out, too—and we mean that both in the way it grabs your attention and how it literally looks like it's floating thanks to the shadows painted 'underneath' them. Of course, this might not entirely be a good thing. The last thing a motorist traveling at speed wants to see is a floating white object suddenly appearing on the road in front of them, and this design might not even conform to road marking guidelines and regulations. But hey, there no doubt these things will get drivers to slow down, right? And at the very least it's an Instagram-worthy prop for locals looking to recreate the iconic Beatles Abbey Road album cover. What do you think? Are these 3D-painted crosswalks a good idea, or should we come up with some other way to make pedestrian crossings safer?